Here is a retro deal for the 80s kids! 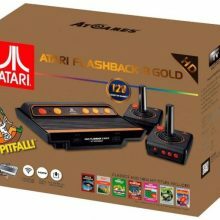 If you are an old-school gamer at heart, then don’t miss out this deal – Atari Flashback 8 Gold console comes with 120 classic Atari games pre-loaded, plus two wireless controllers, for a whopping $62.21 off list price on Amazon (now USD $69.99, was USD $120)! 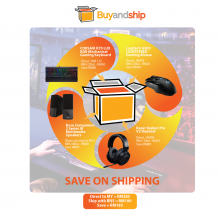 US shipping is free, get Buyandship to ship it back! Throwing home parties in this coming festive season? 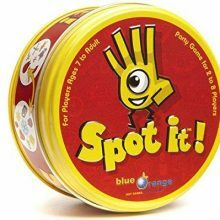 Make sure you stock some board games to keep your guests entertained. 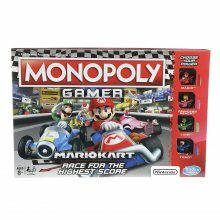 Monopoly Gamer Mario Kart is now on sale for USD $14.36 (usual price: USD $24.99), that’s a 43% saving! Mario’s elements like boost pads, banana peels, and gold coins are incorporated into the Monopoly game. Round your Amazon order to more than USD $25 and enjoy free domestic shipping, we will bring the items back to Malaysia in a single package for you! 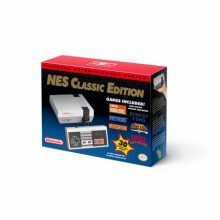 NES Classic Edition back in stock! If you’ve been struggling to get your hands on the always-out-of-stock Nintendo Entertainment System: NES Classic Edition, then you are in luck, Walmart has it in stock for USD $59.99. Released in the U.S. in 1985, the original 8-bit NES gaming system was the best-selling game console of its time. The NES Classic Edition console is a miniature replica of the groundbreaking original, and features seamless compatibility with modern TVs just plug it into your TV’s HDMI port, and you’re ready to play! Walmart ships free to our warehouse if you spend more than USD $35, so don’t miss the chance to relive the 90s with this fun console! 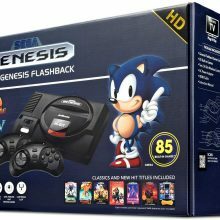 If you’re looking for classic consoles, look no further than this classic Sega Genesis console now available on Amazon! The new version of this classic console does not only come just with the console, but also with 85 games included in this pack! Comes with two controllers, you can also use this player to play all the classic cartridges you used to have! With this version, you can also play in HD! Now go back to the classic times where games were simple by getting it sent to our US warehouse for free – and our shipment to your door still stands at RM10/lb until 10 October 2018! If you’re looking for a good reason to get a PS4, why not get it now? They’ve recently released a limited edition version of the PS4 slim console with a Blue-ray version of the game! 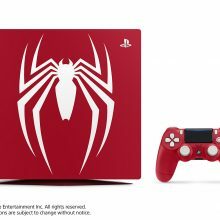 With the new Spiderman logo adorning the main console, you’ll also get the 1TB version of the console, which allows for HD play as well as a matching limited edition Amazing Red DUALSHOCK4 wireless controller! Now get ready for those sleepless nights trying to get through this game! Get it from the UK to save the headache of electric plug and current difference, and since Amazon UK ships free to our UK warehouse, you can also save more on international shipping with us! Gaming, or as it is now known as, E-Sports, is a new era of sports, and many are finding the joy and the opportunities being good at it brings. Now, to get you on the right path, while still saving some coins, here are our suggestions – to bring you to the next level! – Corsair K70 LUX RGB Mechanical Gaming Keyboard – CHERRY MX RED Malaysia Retail Price : RM719 US Retail Price + Direct Shipping Cost : RM529 + RM112 = RM 641 US Retail Price + BuyandShip Shipping Cost : RM529 + RM30 = RM559 Saving you RM160! – Logitech G903 Wireless Gaming Mouse Malaysia Retail Price : RM659 US Retail Price + Direct Shipping Cost : RM529 + RM74 = RM603 US Retail Price + BuyandShip Shipping Cost : RM529 + RM20 = RM549 Saving you RM110! – Bose Companion 2 Malaysia Retail Price : RM569.. If you’re looking for a better keyboard to improve your gaming, look no further than the Corsair K70 Lux! 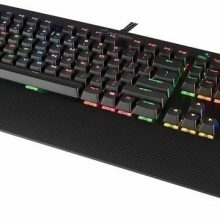 Voted as “near perfect” by GamingScan and the best gaming keyboard by GamesRadar+, this mechanical keyboard is made to help you with it’s detachable wrist rest, RGB backlight as well as re-programmable keys! The click is also just the perfect pitch that it is music to your ears. Amazon is still discounting this past the Prime Day deals, so you’ll save US$20, and free shipping to our US warehouse make it an even sweeter deal. Save almost USD30 for us to ship it straight to your door as our rate starts is only RM10/lb!. Best Gaming Mouse – on Sale! Now that Amazon Prime Day is over, we’re sure you’re now looking for places to get the best deals for your gaming purposes! We’re here’s for you! 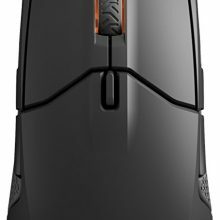 According to a Tech Radar article, this SteelSeries Sensei 310 is the best gaming mouse around, and it is still on sale on Amazon here, for an amazing price of USD52 (that’s about S$72 for us)! This mouse is ambidextrous, important for all you serious games, who happen to be a leftie, so that you can perform optimally without the hindrance of a rightie mouse! Get it shipped to our US warehouse for free (on a Prime account) and we’ll make sure it gets to your door for only RM10/lb! Days of Play is ending! 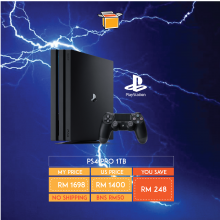 Don’t forget to get great deals from the American Sony Playstation Store, like this one for the PS4 PRO 1TB! Get it now before the promos are over tomorrow – and sign up with us to get it sent (mostly) for free to our US warehouse, and we’ll make sure your precious cargo is sent straight to your door at S$5/lb – no extra charges to be sent to your door or to do multi-country consolidation for other purchases too! Sign up now!